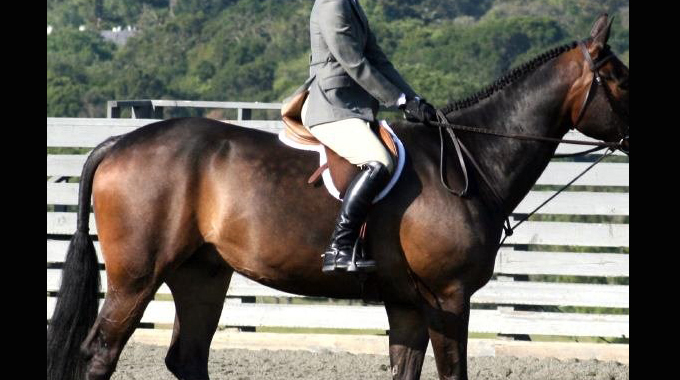 I am a hunter and equitation rider and I have a problem with always pulling on my reins. My trainer wants me to hold my reins short without pulling on my horse’s mouth, but I find this difficult while using a pelham bit. 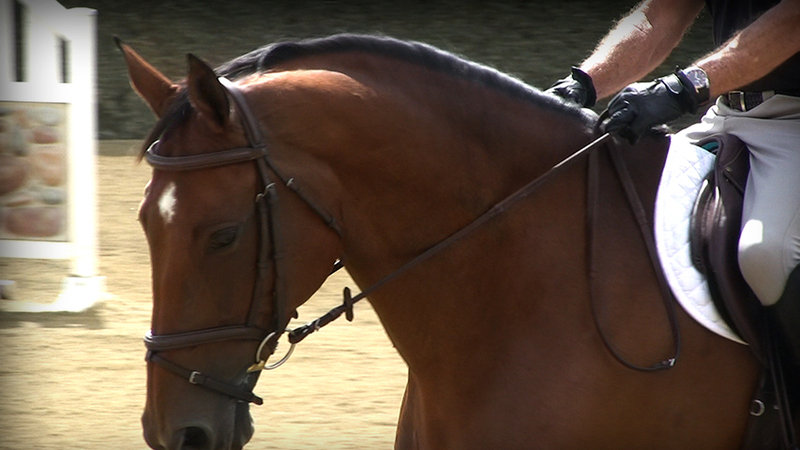 Do you have any tips on keeping my hands and arms soft while still holding my reins? It is human nature to want to control everything with our hands, so it is natural to feel the need to pull on the reins anytime we feel insecure or out of control. 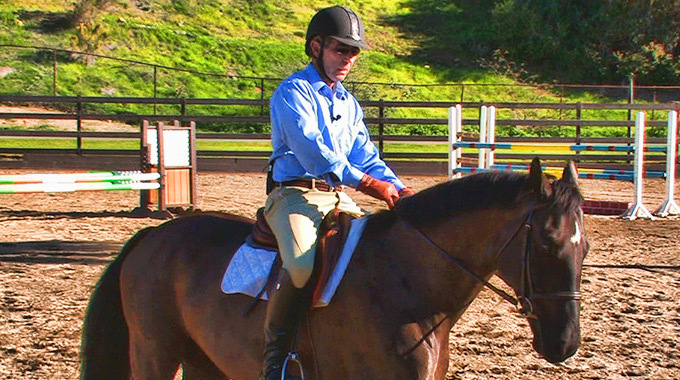 One of my favorite exercises to get this feeling is to practice riding with driving reins. 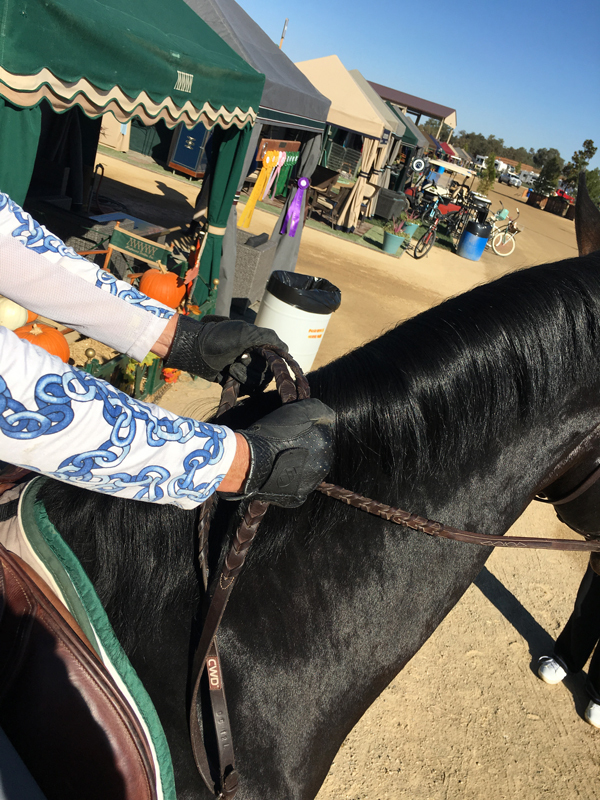 This is done by holding the reins so the top of the rein sits between your thumb and first finger with the rein heading directly towards your horse’s mouth. It gives you the true feel of direct, elastic connection. This is a softer rein but not as strong. Another exercise to get this feeling is to ride with bridged reins. With both hands on both reins, this teaches the rider to use hands together and softer, as it encourages more riding and guiding of the horse from the rider’s leg. It is important to understand that riding with loose or inconsistent contact confuses a horse when connection is lost or erratic, minimizes smooth communication, and delays signals to the horse. Another thing to watch out for is the habit of riding with open fingers. 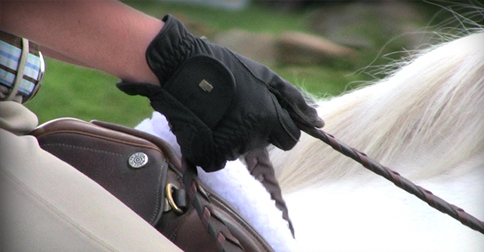 Not only is this dangerous in case the horse trips (you risk losing the reins), but open fingers promote stiff arms. Hope these thoughts and exercises help! In this topic the young student has progressed to the point that she is beginning to ride on contact. 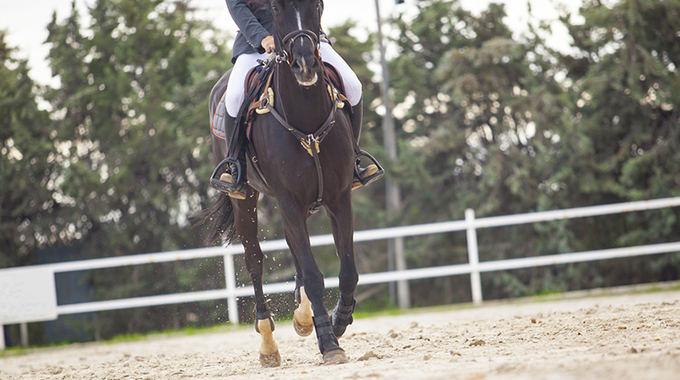 It is important that the rider has tactful arms and hands when riding with contact as not to abuse the horse’s mouth. 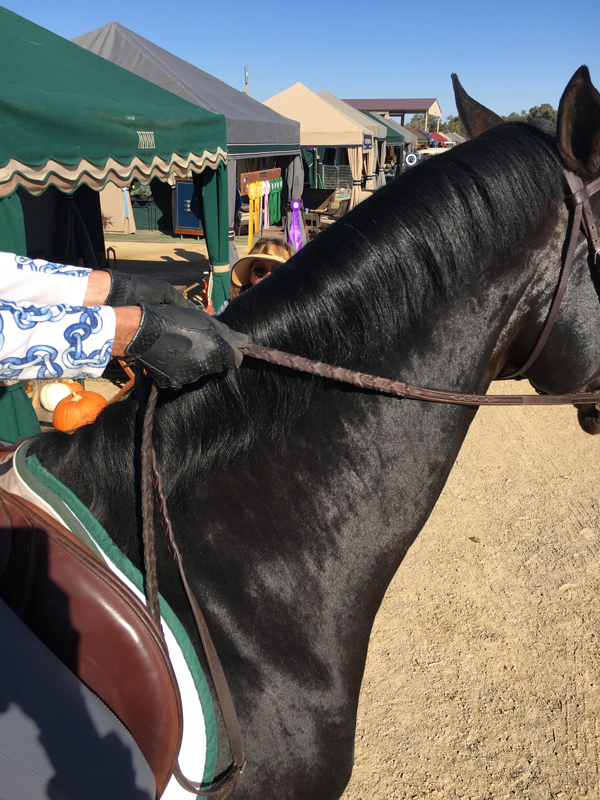 Susan finds that teaching her students to steer with a driving rein really encourages them to follow the balancing gestures of the horse’s head and neck with sensitivity. 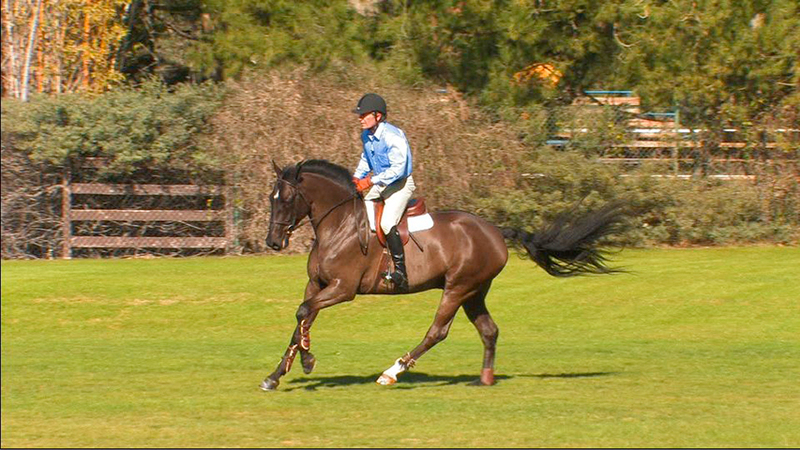 Bernie gives advice to a member who's horse cross canters when she lunges him.